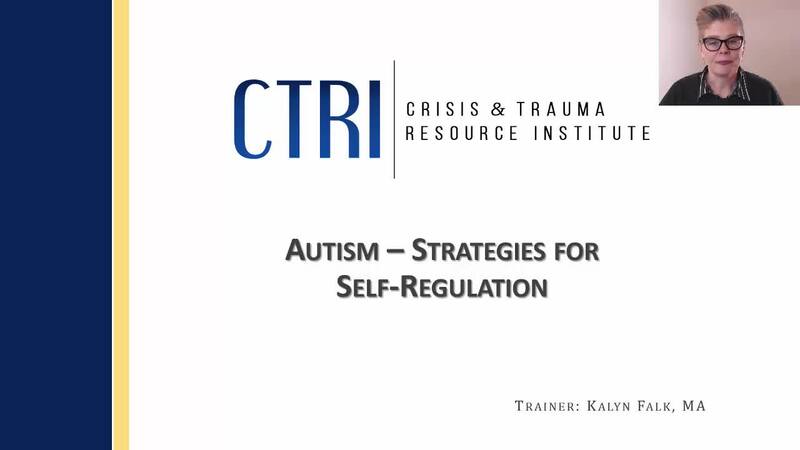 Kalyn teaches CTRI workshops in the areas of autism and wellness. She is a gifted facilitator who brings a wealth of knowledge to her training from both her professional background and from her experience raising her 16-year old with profound autism. In university she majored in developmental studies, psychology, and conflict resolution studies. Throughout the last fifteen years, Kalyn has worked with schools, government agencies, and health care organizations to increase awareness and understanding of autism as an educational consultant, trainer and parent. Kalyn published her first book, Mother of the Year and Other Elusive Awards: Misadventures in Autism, in 2013. As a facilitator, she is a warm and engaging speaker who incorporates experiential learning into her presentations. Helping professionals and educators are increasingly understanding the importance of self-regulation in dealing with anxiety and stress for any population. When helping people on the Autism spectrum, the method of teaching self-regulation may need to accommodate this population’s specific needs and learning styles. This webinar will look at emotional, physical, and cognitive self-regulation strategies for individuals with Autism Spectrum Disorders.